Let's face it. Our gym bags must be functional with all of the right storage space, but we'll be damned if we'll rock a bag that has zero flyness factor. 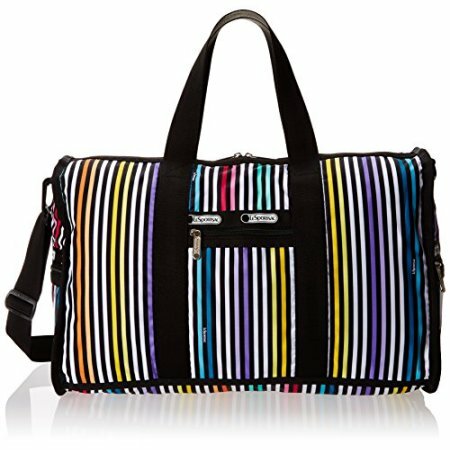 Enter this fabulous, functional LeSportsac Luggage Duffel Bag ($138). It's roomy and, wait for it... The striped LeSportsac™ Luggage Gym Duffel bag is considered the cherry on top of your awesome workout.